A great distinction about Ronald Brown's 2014 dance, The Subtle One, is its jazz score by Jason Moran, played live by his trio in Tuesday's performance at the Joyce Theater. It had been awhile since I'd heard jazz played live for dance; so much of what is played live falls under the Bang on a Can style of new music, often without a melody or flowing pulse. So it was a pleasure to hear music by Moran, who scored the film Selma, plus a song by Tarus Mateen, who played bass. The dance is, like its title, a subtle one. The smoldering star Annique Roberts begins moving at an even, moderate pace, marked by unfurling arms and a oft-repeated balance in which the she reaches forward yearningly with one arm. She is joined by the rest of the company, which breaks from briskly rhythmic ensemble sections into twos and threes, arms pumping like locomotive wheels. The work, while unspecific in story, refers to a stanza by Alan Harris about the strength of spirituality. The overall elegiac quality of the piece is enhanced by the white and peach-ombréd tunics, by Keiko Voltaire. In a program note, Brown talks about his dance as storytelling, as well as acknowledging previous accomplishments in addition to doing new things. In that context, he revived sections from a 1995 suite, Lessons: Exotica & March. Dr. Martin Luther King Jr.'s reverberent words accompany the first section, a bold duet (led by Roberts) and manifestation of Dr. King's controlled power. In the second section, the company wears multi-hued panné velvet separates (a bit of a time stamp), and the pace picks up speed and flowing club rhythms as music replaces Dr. King's voice, eventually changing to a hymn. Rounding out the program was Grace, Brown's best-known work that is an Ailey repertory staple. 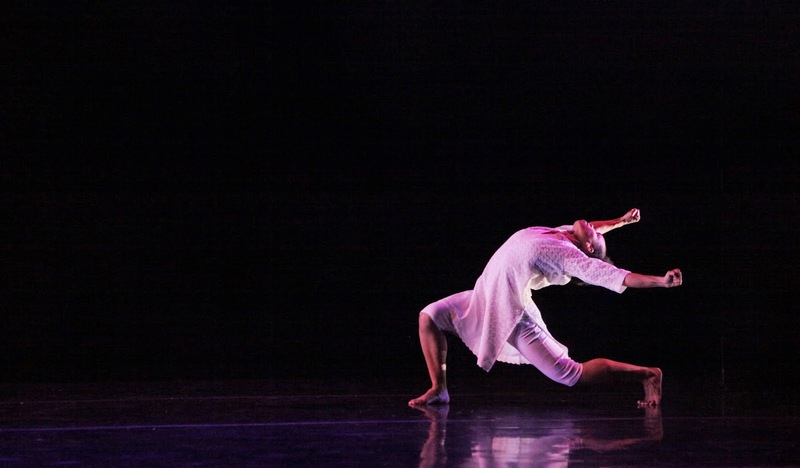 The choreographer cameoed in the piece, which featured the luminous, lush-moving Clarice Young. One change: the men kept their shirts on in a usually bare-chested section that often garners some good-natured catcalls. It diminished slightly the idea of the spiritual side of physicality, while upping the humility quotient. The good news is that Lauren Lovette and Chase Finlay made for an fresh, intriguing Juliet and Romeo last Saturday at New York City Ballet. The less fortunate news is that it was in the production by Peter Martins, with designs by Per Kirkeby. I discussed its drawbacks previously; another viewing only reinforced these points. I will add that there's far too much sword fighting, which—despite the actual clanking of metal on metal—is probably not coached and rehearsed enough to justify its prolonged length. Back to the cast. Finlay was born to play Romeo, with his runway-ready looks and natural elegance and hauteur. He has matured artistically in the last few years, and has endured injuries and rehab while filling out his tall frame; he's no longer the young prodigy who rocketed to principal rank. But he is in the spring of his career, and well-positioned to take on this big role. Also in bloom is Lovette, a soloist who has earned a number of big roles recently. She threw herself completely into the role of Juliet, at moments slipping in her tussle with her parents (Rebecca Krohn and Ask La Cour) and Paris (Russell Janzen), such was her ardor. She has the delicate physique to play a believable Juliet for years to come, riding the cusp between youth and adulthood. Her spine is supremely flexible to create a deep arch in the several draped-backbend lifts she endures. She has an innate sweetness that here, when fractured in moments of tragedy, evokes empathy for the fall of innocence. One drawback: her small head and face make it difficult to read her expressions at a medium distance. In supporting roles, it surely is a coincidence that Romeo's buddies Mercutio and Benvolio were danced by Harrison _ _ll—Ball and Coll, both of the same approximate size and hair color. Ball infused his Mercutio with an athletic playfulness. Tybalt was danced by Sebastian Villarini-Velez, requisitely sharp and cutting in his acid-yellow costume. Janzen, a soloist, danced the perpetually thankless role of Paris as well as could be expected, with an oleaginous grace and indignation. One can hope that a new production of R&J transpires before too long, while this company is atwinkle with this galaxy of young stars.